Amanda Smith: Meet Pretty Nurse Penicillin! Pretty Nurse Penicillin (PNP) is a magical girl RPG project of mine that I've been working on/off on for a few years. It started out as a concept for a comic, but I feel like it works much better as a game. I purchased and larned how to use RPG Maker just to make this game! But it's quite a project and will take a long time to complete. 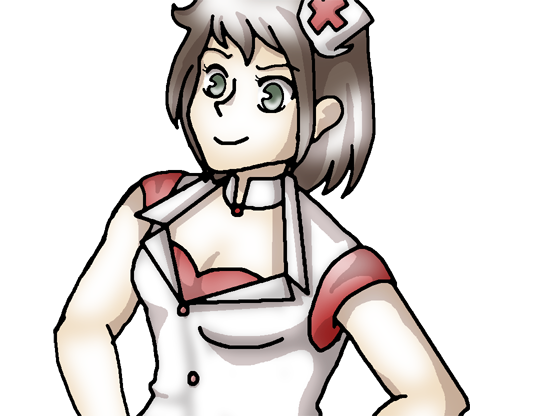 Anyway, meet the main character: Penicillin! I featured her on one of the ATC I posted last time. 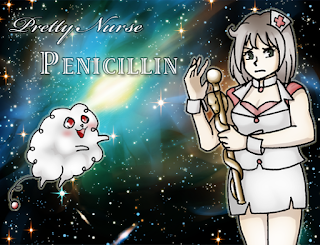 Penicillin is a reluctant magical nurse girl. 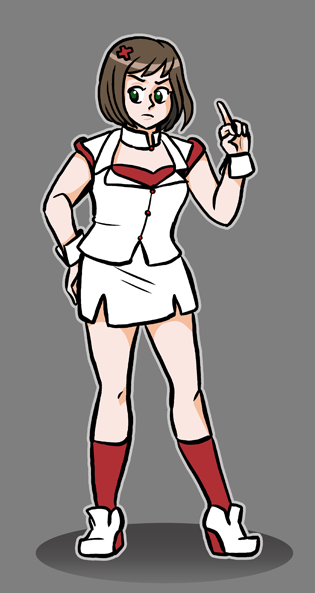 She's recruited by Cotton, a sentient puffball, to lead a team of magical nurses in a fight against evil. 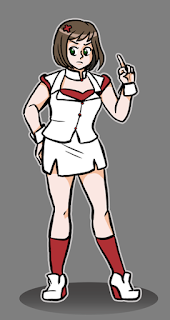 She has a foul mouth and thinks that this whole magical girl thing is nonsense. That's all for now!